The PICASSO Masterpiece Collection began as a series of limited edition collectors for the fall of 2009. 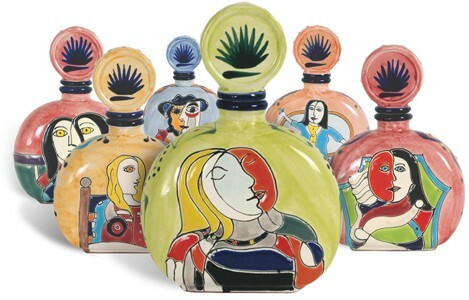 The first collection presents 6 different paintings on the bottle, which are inspired by the work of Pablo Picasso. Picasso is possibly the most recognizable painter of the 20th century. 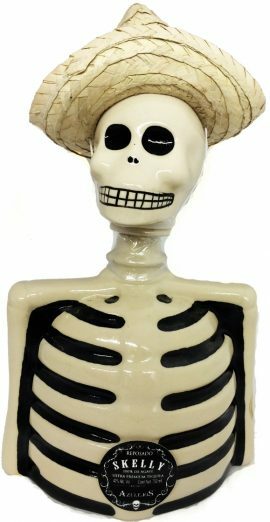 Each bottle has the same design and paint on both sides and is hand painted by Mexican artisans in Puebla, Mexico, home to Talavera ceramics. 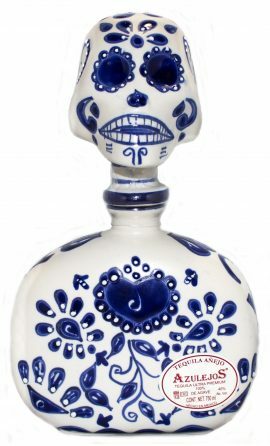 This is produced in Jalisco, the heart of tequila country. This is the three year aged expression of this particular line. The others being Blaco, and Reposado and Anejo. Distilled in stainless steel stills, a bright taste Lowland tequila. 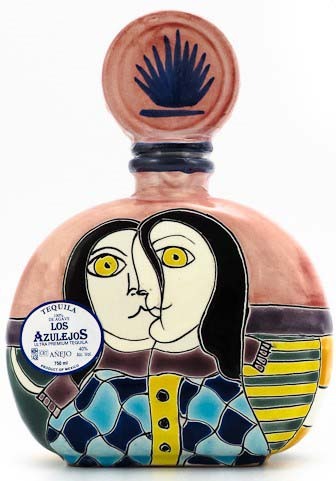 Los Azulejos Picasso Masterpiece Series Extra Añejo Tequila is the most complex and refined. With butterscotch and caramel undertones it’s ideal for sipping. Try it in a snifter glass like you’d use for Cognac or brandy. Picasso inspired 6 different artisinal designs. Aging in French Cognac Oak barrels for a minimum of 40 months. Charming medium to heavy body. Swirling in glass leaves a very light coating on the glass, with the legs forming slowly. First impression: sweet notes of sea salt, great sensation in the mouth. Bouquet is more restrained than its younger brothers, something like a smell of salt and toffee with Provence herbs. The oak adds a layer of vanilla with lemon. Oak and vanilla wrestle with brine and pepper notes for your attention, then the buttery leather notes begin to wash. Hints of lemon grass and lemon balm, leading to chocolate and orange. Long persistent finish, with notes of English sugar cookies. 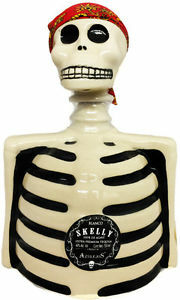 oOhh this tequila grabs your attention. 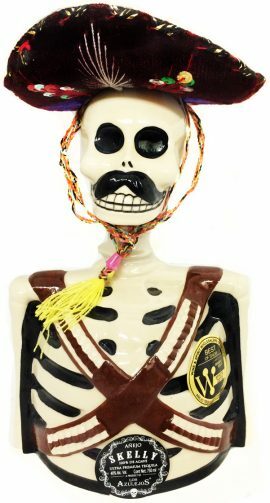 This is a tequila that is VERY hard to put down.